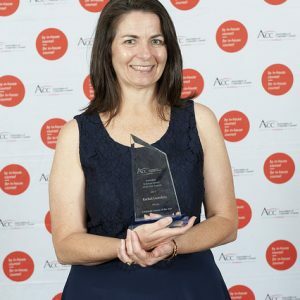 Rachel Launders at the ACC Australia 2017 Australian In-house Lawyer Awards. The winners and finalists were recognised at a formal awards ceremony in Alice Springs on Thursday 16 November. 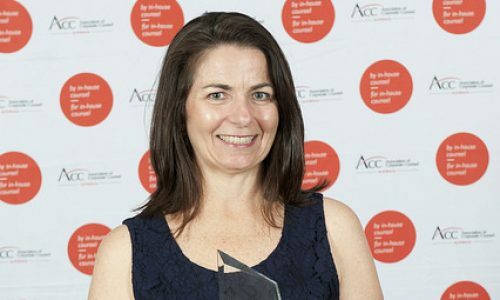 The ACC Australia in-house lawyer awards represent the most prestigious recognition of excellence within the in-house sector and are the only awards judged exclusively by the in-house legal community. Winners are recognised for their excellence and demonstrated agility in meeting the demands of an increasingly complex commercial environment. 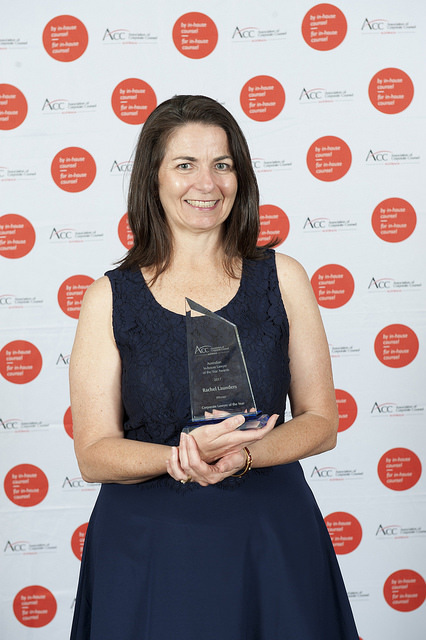 Rachel was recognised for her role as General Counsel and Company Secretary at Nine Entertainment Co. Her role took on very real significance in April 2016 when four staff members from 60 Minutes were arrested in Beirut and Rachel was pivotal in leading Nine’s response to those events.